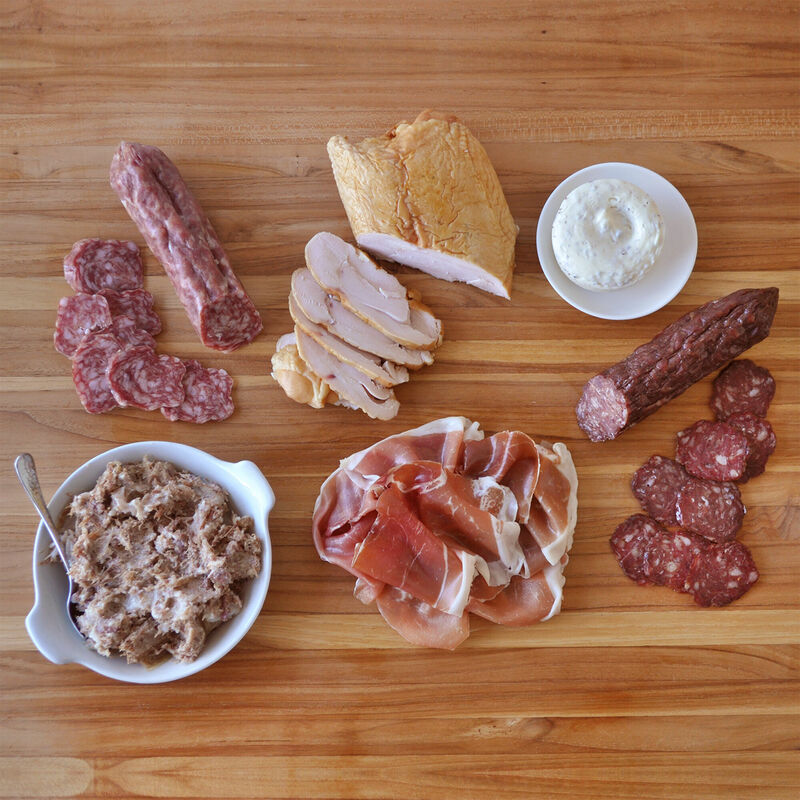 Charcuterie sampler, ready-to-eat and suitable for serving four people. Great for friends, family, and foodies, this gift box includes a signature charcuterie assortment offering six different D'Artagnan favorites. All you need to add is some grainy mustard, cornichons or olives, and bread or crackers to make it a party. Conveniently packaged in a D'Artagnan gift box along with a charcuterie brochure offering serving tips, this food gift is full of bold, delicious and memorable flavors. Note: Please see individual product pages for nutrition, allergens, and more detailed information. Shelf life varies by product; see individual packages for expiration dates. In the event that any of the products listed above are not available at the time of shipment, D'Artagnan reserves the right to make an appropriate substitution with an item of similar value.